We have been involved in marine diesel engine maintenance over three decades. Our team of qualified engineers uses latest technology for marine engine maintenance. And overhauling. 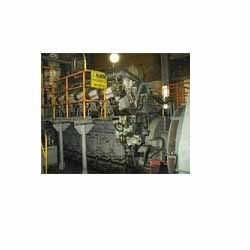 We have executed number of projects of major overhauling of diesel engine in Qatar, Dubai, etc. Owing to the wide experience in this domain, we are instrumental in providing Diesel Engine Maintenance. Service and maintenance of Diesel Engines, Deck Machinery on board all vessels and shore establishments. So as to attain the standing we have desired in this marketplace, we are highly instrumental towards presenting Kirloskar Diesel Engines Maintenance Services. These services are delivered within the assured period of time as per the needs of our privileged patrons. Also, we assure that our clients can acquire these services from us at very economical rates. In Motihari, Raj Diesels is situated in a spacious office with 20 employee working 24x7 to give the best service to our valuable customer. 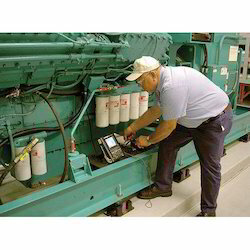 Engaged in providing Diesel Engines Maintenance Services. These are available at market leading prices and can be customized as per the requirements of the clients.